Making decisions about the management and conservation of nature is necessarily complex, with many competing pressures on natural systems, opportunities and benefits for different groups of people and a varying, uncertain social and ecological environment. An approach which is narrowly focused on either human development or environmental protection cannot deliver sustainable solutions. 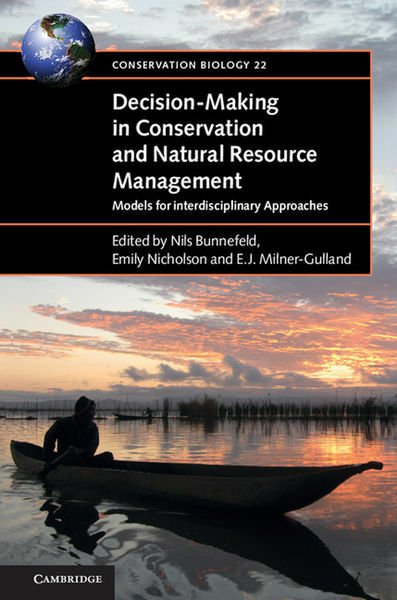 This volume provides frameworks for improving the integration of natural resource management with conservation and supporting stronger collaboration between researchers and practitioners in developed and developing countries. Novel approaches are required when ecological and social dynamics are highly interdependent. A structured, participatory, model-based approach to decision-making for biodiversity conservation has been proven to produce real-world change. There are surprisingly few successful case studies, however; some of the best are presented here, from fisheries, pest management and conservation. Researchers and practitioners need this interdisciplinary approach, focused on quantitative tools that have been tested and applied, and learning from success.